"Is distraction a curse or a blessing?" Not giving full attention to what we should be doing makes us miss deadlines, fail classes, and crash into other drivers. Distraction certainly has a price. Nonetheless, we love our distractions! Social media, spectator sports, movies, books, TV shows, the news, video games — what would we do without them? Clearly, there are benefits to distractions as evidenced by the fact that nearly everyone on earth seeks them out. But why? Although they seem to pull us away from more important things, what purpose do they serve? And, when at times we seem to give in to distractions, how do we ensure they serve us well? Our brains have a limited ability to focus. We can’t pay attention to everything around us all at once so we must choose what to focus on. For example, we may choose to focus on work while struggling to resist more interesting distractions. However, in some situations, we can leverage this biological limitation to our advantage. In her book, SuperBetter: The Power of Living Gamefully, Dr. Jane McGonigal, describes how distractions can be a powerful tool for reducing the impact of painful or negative experiences. For example, children are notoriously anxious before surgery. Their levels of preoperative anxiety are known to reduce the effectiveness of anesthesia and increase recovery times. Physicians need alternatives to sedative medications to keep them calm. A study, cited by McGonigal, used distractions to effectively reduce their stress. In the study, one group of children was given anti-anxiety medication before surgery, another group played handheld video games, while a third control group was given no medication and no video games before surgery. The kids in the video game group were the only ones to show a decrease in anxiety before surgery. They also required less anesthesia during the procedure and suffered from fewer medication side effects after surgery than children in the other two groups. The video games proved effective, researchers believe, because they distracted the children from the pain and uncertainty of the surgery. The engaging nature of the video game helped children direct their attention away from their fear and towards the challenge of the game. This study isn’t alone in demonstrating the power of distractions to lessen negative experiences. Burn patients are typically given large doses of medications to help them through the excruciating pain of cleaning their wounds. A new virtual reality game designed by scientists at the University of Washington Seattle demonstrated the extraordinary power of distractions in fighting pain. The researchers found that patients who played the game during wound cleaning felt up to 50 percent less pain. In fact, playing the virtual reality game was more effective at reducing pain than using medication. The researchers concluded that the more immersive and engaging the game was, the more it helped direct attention away from the pain of the procedure. The ability to shift our attention away from negative experiences is also helpful outside of a hospital setting. Distractions can help us cope with the pains of everyday life. Research on how distractions can be used to control our urges and impulses show that certain games, like Tetris for example, can help reduce cravings for fatty foods and even addictive drugs. Researchers suspect the cognitive demands of these games redirect our attention away from craving triggers, reducing the painful urge to indulge. Playing matching puzzle games like Candy Crush, Puzzle Blocks, or Interlocked might actually help us distract ourselves away from digging into that pint of ice cream in the fridge. Distractions can also help us stay fit. Research suggests taking our minds off the pain of physical exercise, with music or television, can improve performance and endurance. Digital distractions and personal technology can help us be stronger in the moment, but McGonigal thinks they can also help us develop our ability to take on challenges in the future. Certain personal technologies can help us build up our courage, McGonigal says, and games are a particularly good way to boost our self-efficacy—our confidence in our ability to overcome problems. Evidence to back McGonigal’s claim comes from a notable experiment about how a video game helped adolescent cancer patients fight their disease, literally. The study tested whether playing a cancer-themed video game called “Re-mission” would help patients stick to their treatment plan and take their medication regularly. In this example, the game didn’t fight pain directly, but built up patients’ capabilities. Patients who played the game were more likely to take their medications, increase their sense of self-efficacy, and show more knowledge regarding how to fight their cancer. From McGonigal’s standpoint, digital games are powerful tools to build strength and confidence because “…Constantly escalating challenge requires a willingness from [patients] to keep trying, even when they fail. It instills a belief that if they keep practicing and learning, if they put in the hard work, they will eventually be able to achieve more difficult goals.” By attempting and overcoming challenges within a game, the cancer patients strengthened their perseverance to keep fighting. Other digital games have been used to help patients with asthma, diabetes, anxiety, and ADHD; all showing increases in self-efficacy and self-care behavior after playing. More evidence that games can heal is emerging from new digital health platforms which use game-based elements to increase patient participation. For example, taking prescribed medications and adopting a healthy lifestyle can greatly improve patient outcomes but only if people actually change their behavior. The Empower digital health platform helps patients manage their chronic diseases through playful design elements traditionally used in games, like levels, point systems, unlocking content, variable rewards, and competition. Combining the engaging nature of games with the accessibility of personal technology creates a healthy distraction that can build patient confidence to combat disease. Clearly, distractions can help us deal with pain and build our courage to tackle future challenges. However, don’t distractions pull us away from our priorities? What about the many products and services, like video games and social media sites, designed to be so good we want to use them all the time? Sometimes we have trouble limiting their use and find ourselves sucked into distractions. McGonigal describes two modes for how we engage with distracting activities: self-suppression and self-expansion. Self-suppression is using distractions to avoid negative experiences; while self-expansion is using distractions to promote positive ones. Sounds simple enough, but McGonigal warns that at times, it is hard to tell the difference between the two. The same activity could be expansive for one person and suppressive for another. It all depends on why the person is engaging in the distraction and for how long. How can you tell if a distraction is good or bad for you? McGonigal suggests first asking yourself, “Why am I doing this?” If your response is to avoid a negative feeling such as “Because work is boring,” or “I don’t want to deal with anything right now,” the distraction may be self-suppressive. Of course in some instances, such as burn victims or children about to go into surgery, distractions can be an effective coping strategy. However, these are justified in that the distractions are used as a temporary solution. Once the patient is healed physically, they no longer require the escape from pain. Problems can arise when distractions become a permanent escape from an uncomfortable reality. However, problems can arise when distractions become a permanent escape from an uncomfortable reality. McGonigal warns of solutions that don’t build our ability to deal with pain in the future. Temporary distractions used for too long may backfire because, “Over time self-suppression actually diminishes our sense of self-efficacy … We no longer see ourselves as people who can effectively solve our own problems.” When we rely on pain-relieving distractions, be it personal technology, drugs, or other escapes, we may never build our capacity to deal with a painful situation, either physical or psychological. In contrast, self-expansive distractions involve achieving goals, building skills, or attaining new knowledge that can be used over the long-term. These distractions help us improve ourselves and can build self-efficacy. For example, answers to the question “Why am I doing this?” that sound like, “I want to learn a new language,” “I want to build a bigger career network,” “I want to know more about my health,” or “I want to improve my well-being,” are the kind of answers that a self-expansive technology can help with. Using distractions with an expansive mindset builds strength, while using them with a suppressive one simply shields us from the pain we are avoiding. 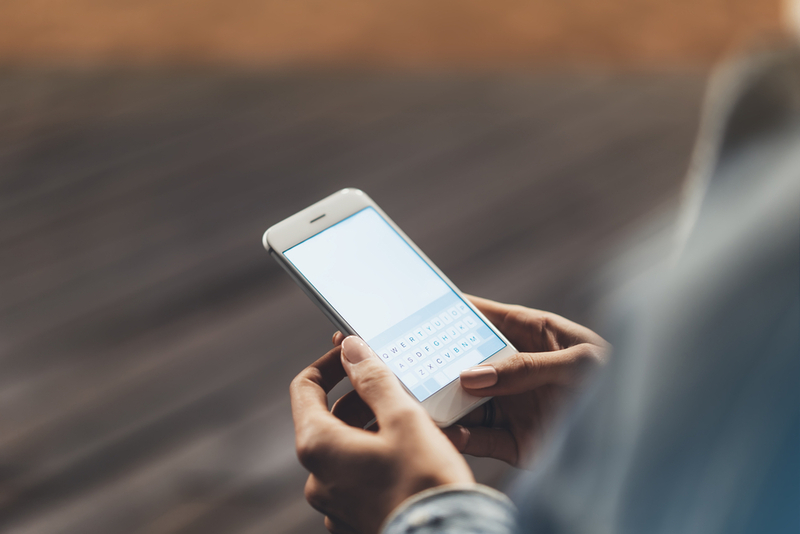 Identifying why and how you engage with personal technology may be the difference between healthy and destructive behavior. Take a look at your favorite digital distractions — social media, video games, puzzles, television shows, podcasts, news, and spectator sports — and ask yourself whether you are using them as tools to build strength, skills, knowledge, and self-efficacy for the future or for temporary escape from an uncomfortable reality. If it’s the latter, you may want to reconsider the role these distractions play in your life. If the pain you’re escaping is permanent, no distraction will ever heal it. You must either learn new coping strategies or fundamentally fix what is broken. When we think about personal technology distractions, we must ensure they continue to serve us. Whether it is helping us get through a difficult time in our lives, or helping us build strength and perseverance for the long-term, continually asking “why am I doing this?” can help make sure we’re getting the most out of our distractions. → Distractions aren’t always bad, sometimes they are useful tools. → Personal technology distractions like video games and puzzles can give us strength to endure negative experiences. → Some distractions can strengthen our ability to tackle new challenges. → Personal technology is a healthy distraction for most people, but it can go bad when it becomes an escape from an uncomfortable reality. It all depends on why and how long we use it. → Using distractions for self-expansion builds strength, while using them for self-suppression simply shields us from the pain we’re avoiding. → To determine if a distraction is self-expansive or self-suppressing, get to the bottom of why you are really using it. → Self-suppression is acceptable for coping with negative experiences in the short term, but can backfire when used as a long-term solution. When Distraction is a Good Thing originally appeared on NirAndFar.com and is co-authored by Chelsea Robertson, Ph.D.